Behalotcha – The gate of Mashiach. 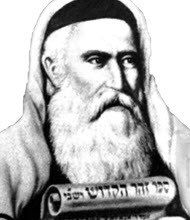 Author Zion NefeshPosted on April 20, 2009 September 12, 2009 Categories Numbers, TorahLeave a comment on Behalotcha – The gate of Mashiach. Author Zion NefeshPosted on April 20, 2009 Categories Numbers, TorahLeave a comment on Bees and Numbers….What a crazy thought? Author Zion NefeshPosted on April 20, 2009 Categories Numbers, Torah4 Comments on Pinchas – I am not important! Are you? Author Zion NefeshPosted on April 20, 2009 Categories Numbers, Torah5 Comments on Chukat – Watch it!